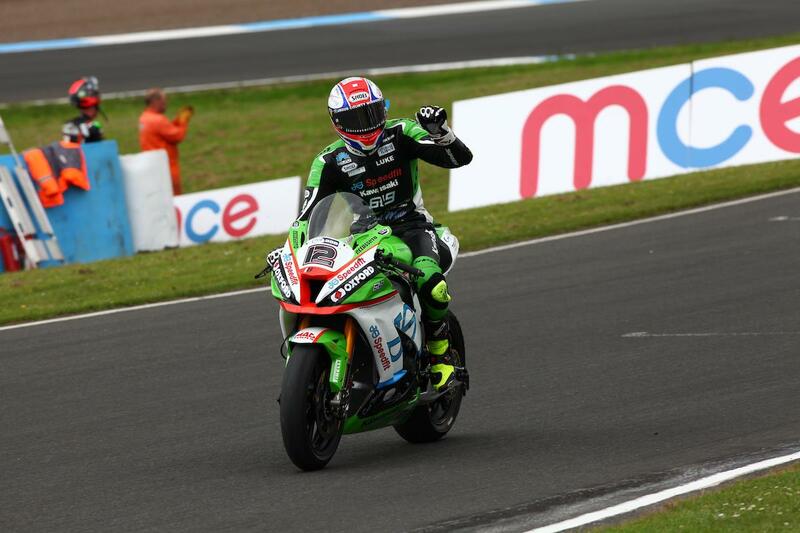 While 21-year-old Jake Dixon was doing the winning at Knockhill, fellow young gun Luke Mossey took over at the top of the championship standings in the absence of team-mate Leon Haslam. Just three points behind Haslam after the opening three rounds, with the former WSB man out of action this weekend all Mossey had to do was score more than three points to take the championship lead. That in mind, the JG Speedfit Kawasaki man opted against pushing beyond his limits to challenge Jake Dixon in the opening race with his eyes firmly set on beating the rider who will be the biggest threat to his and team-mate Haslam’s championship challenge at the end of the year – Shane Byrne. “As far as I’m concerned, Leon and Shakey are the guys I need to beat,” he said. “They’re the championship favourites and today I beat Shakey once and finished one position behind him in the second race. I know I need to be in the strongest possible position going into the showdown, keep racking up the podium credits and be there to give it a bloody good go at the end.